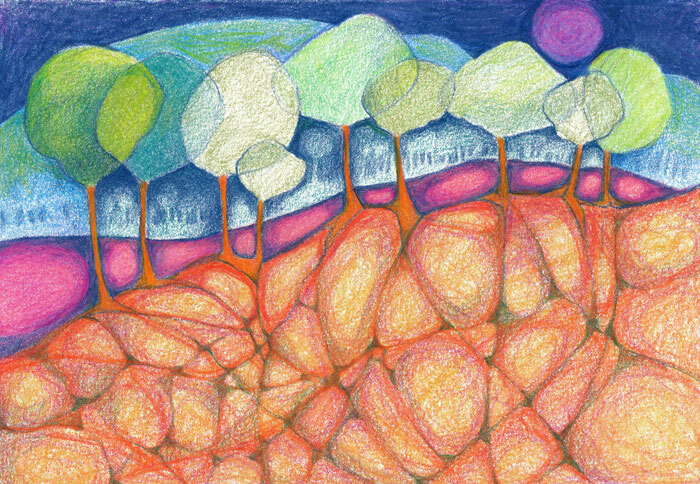 This entry was posted in Uncategorized and tagged colored pencil drawing, landscape, Linda Kay Thomas, Linda Snider-Ward, Louisiana artist, N.A.W.A. signature artist, small art, trees, whimsical art. Bookmark the permalink. This interpretation is very inspiring, loving the overlapping tree tops. Added you to my following list. I was wondering what type of colored pencils you used for this piece?